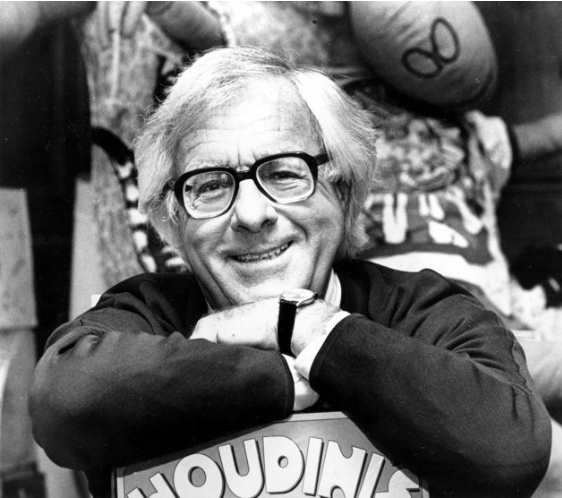 Today I found out that the incomparable author Ray Bradbury has passed away at the age of 91. Growing up with three nerdy brothers as I did, Ray Bradbury's books were a constant fixture in our house. Along with Isaac Asimov, Bradbury helped shape the supple minds of three young boys and guide them into the sciences, which is why two of my three brothers are now engineers. While I was never the science fiction buffs my brothers were -- I don't think there's a single Bradbury book they didn't devour -- even I was enthralled by The Illustrated Man. Thank you, Mr. Bradbury, for contributing such a remarkable body of literature that took people off the Earth and into the realms of fantasy. Ray Bradbury, Isaac Asimov, and Orson Scott Card are the best, in my opinion. I still remember shivering in delightful horror reading "The Illustrated Man" when I was in jr. high. He was a great writer. His book Zen in the Art of Writing is certainly of the most inspirational and helpful books I've read on writing - and really, on life. In reading quotes about his life, he's a testimony to the power of perseverance and believing in yourself. But I have to admit, you would not have made my short list for places where I thought I would see a Ray Bradbury tribute. He was my introduction (like Jan, in Jr. High) to the amazing world of science fiction. I've often wondered if it wasn't reading science fiction like Alas, Babylon and The Andromeda Strain (and Earth Abides, and...) that kind of prompted me to think in ways that led me to a prepping mindset. I was sad to hear of his passing, too.